Danny McBride says it'll be all killer and no filler for his upcoming Halloween reboot. Fans may recognize McBride from his work on the HBO series Eastbound & Down and Vice Principals, or in raucous comedies like Pineapple Express, Tropic Thunder, and This Is the End. 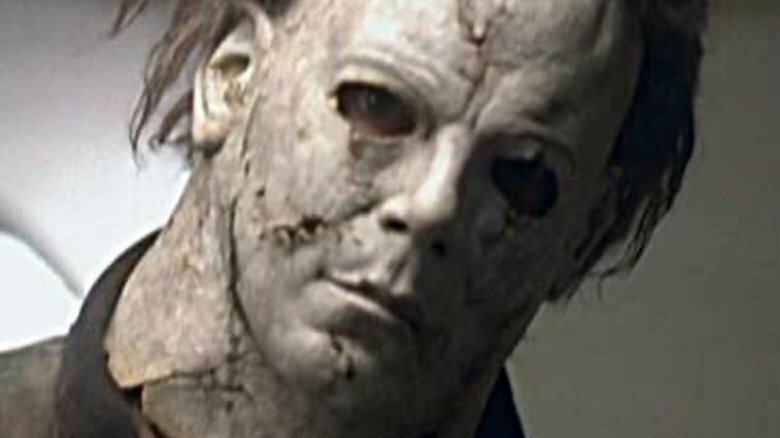 And a great deal more will know his name when his planned Halloween refresh is released in theaters, a film revival he says will channel the thrills of 1978 original. During an interview on the EMPIRE podcast (via iO9), McBride opened up about the reboot. The actor revealed that he and co-writer and director David Gordon Green intend to repent for the sins of the later Halloween movies. According to McBride, the pair will undo the supernatural elements of Michael Myers, the central character who became almost unconquerable as time went on, and focus on what made the franchise great (and really scary). "I think we're just trying to strip it down and just take it back to what was so good about the original," McBride explained. "It was just very simple and just achieved that level of horror that wasn't corny. And it wasn't turning Michael Myers into some supernatural being that couldn't be killed—that stuff, to me, isn't scary." For McBride, avoiding cheesy horror means making the film's plot and story genuinely scary—and that also means angling things in a more realistic manner. "I want to be scared by something that I really think could happen," said McBride. "I think it's much more horrifying to be scared by someone standing in the shadows while you're taking the trash out as opposed to someone who can't be killed pursuing you." McBride also mentioned that he and Green plan to align the Michael Myers character closer to director John Carpenter's original vision, which apparently didn't include indestructibility, and that their reboot will take place some time after Carpenter's first two Halloween films. In the past, McBride dished that his Halloween refresh would be a total scare-fest. "David [Gordon Green] and I are thrilled to step outside of our comedic collaborations and dive into a dark and vicious horror. Nobody will be laughing," said McBride (via Variety). The good news is that Carpenter himself is keen on what McBride and Green have planned. The director revealed in a Facebook post that the duo had stopped by his office and "shared their vision for the new movie," which really impressed him. "Wow. They get it. I think you're gonna dig it. They blew me away," Carpenter said. Sounds promising to us. The Halloween reboot is slated for release on October 19, 2018. In the meantime, check out the other horror franchises attempting to return from the dead.